You can break more targets consistently! Know how to Self-Correct your Misses. Understand how to Duplicate your Successful Shot - Consistently. Simple, Clear, Easy Steps to Consistently Shooting Better using our proven process! Excellent shooting instruction is a wonderful gift that keeps on giving! The atmosphere is relaxed and happy. Shooting should be fun, safe, and educational too. Paragon sessions not only build confidence in the shooting box but also teach respect for the game, guns, and targets. The overall experience is both enlightening and gratifying. We completely understand this passion to get behind the trigger. We'll teach you how to be successful - on the range and in the hunting fields. Of course, our first goal is always safety mindedness, which you can count on. Our second goal is to provide you with an educational and truly memorable experience for you and your guests. We will patiently walk you through every step, every question, allowing you to successfully build one accomplishment after another. What you will feel is our genuine desire to assist you in a patient and professional manner. We take time to talk with you before you schedule a lesson so you understand - precisely - what you can honestly expect to learn during your lesson(s). We are committed to helping you move your game forward. We provide simple, clear, easy-to-understand instruction so you can be successful when your instructor is not standing behind you in the shooting box. We patiently answer all of your questions. All instruction is tailored to you and your goals. If we feel you need a little more time to achieve the fundamentals being taught, we'll extend your lesson at no extra charge. We value each and every one of our clients. We know people learn differently and we've invested decades to help our clients maximize their time with us so they can implement the teachings into their shooting. We put you - our client - first. Paragon's training is cutting edge. For 3+ Decades, we've done double-blind tests to distill our training down to the essence of good shooting. We've held roundtable discussions with professionals from all walks of life to create proprietary techniques, exercises and teachings to help our clients learn faster. Schedule Your Lesson with Dan Schindler Now! 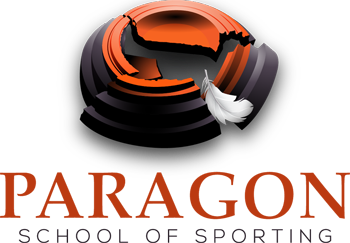 Welcome to the Paragon School of Sporting Inc.
"For those who come seeking our advice . . .
our task is not only to instruct but to enlighten and inspire." Daniel Schindler, Paragon Master Sporting Clays and Wingshooting Instructor, U.S. Thank you for visiting! Paragon was established by Daniel Schindler in 1994. We've built our Sporting Clays and Wingshooting Instruction business - student by student - on our unconditional promise to make sure each and every one of our clients exceeds their shooting goals. Dan Schindler teaches Paragon's step-by-step Sporting Clays and Wingshooting system that he created. This is a tried and true shooting system designed for shooting success. Using clear, concise language, Dan teaches his clients a shooting process that allows them to build consistency into their shooting. Teaching at Paragon is not "just a business." We are committed to making sure each student is treated with courtesy and respect. Paragon specializes in Sporting Clays and Wingshooting Instruction for shooters at every skill level - new shooters (who have never held a gun) all the way to Master Class. Each and every Sporting Clays and Wingshooting lesson is personally tailored to meet the goals and needs of our client. Dan is a full-time Sporting Clays and Wingshooting Instructor / Coach who has dedicated his life to creating and continually refining his shooting program to help shooters from all walks of life and at every skill level. Dan has spent decades developing effective, reliable, repeatable sporting clays and wingshooting techniques to help our clients move their shooting forward in the shortest time and most direct manner. We provide the finest service and shooting instruction in the world . . . and to WOW our clients. This is our promise to our customers and we keep our promises! are directly applicable to my business. Bottom line is, the workshop works." Daniel Schindler's Sporting Clays Mental Training Workshop has received accolades from shooters and business people from across the United States and abroad. Some of our clients say The Mental Training Workshop has been life-changing. CEOs and Executives tell us they've not only made significant shooting improvement but also profitable changes to their businesses after attending The Mental Training Workshop. This is a 3-day laser-focused training program that was designed specifically for shooters competing under stress. By uncovering the factors that limit tournament performances, The Mental Training Workshop provides logical, workable solutions to holding one's focus in the competition box. Using common sense and plain language, The Mental Training Workshop explains and organizes the thought process needed to build and maintain long runs. "I teach our Instructors – when we are teaching – it’s not about us. It is ALL about our students. We are not there just to instruct but to inspire…to elevate their spirit…their self-esteem…and their soul. And when we do…our gift of enlightenment comes back to us." Paragon C.I.S. (Center for Instructor Study) is a comprehensive Sporting Clays and Wingshooting Instructor certification program for those individuals who seek the very highest level of Instructor training. With a goal to excel, the Instructor Candidates who join us have carefully researched their certification training options. Mediocrity is not a part of their standards. What matters greatly to these individuals is their reputation and providing excellent instruction to their students. An Instructor certification program has obligations to its Candidates. Those obligations are to teach competency, to prepare the Candidate for the many questions, issues, problems and challenges his/her students will bring. That puts the burden squarely on the certification program to prepare their Candidates accordingly. Paragon C.I.S. teaches Sporting Clays and Wingshooting Instructor competence, emphasizing safety, communication, teaching and people skills. The Paragon C.I.S. certification program does precisely that. World Class Sporting Clays and Wing Shooting Instructor."